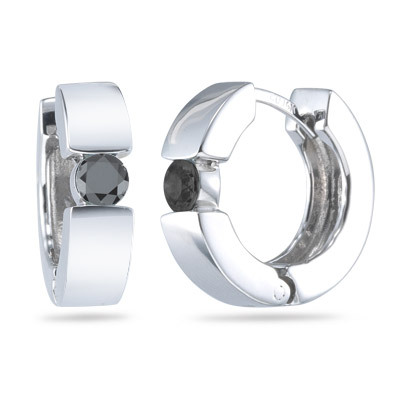 0.55 Ct Black Diamond Huggie Earrings in 14K White Gold . These stunning Black Diamond Huggie Earrings exhibit a sparkling black diamond each in 14K White Gold. Approximate Diamond Weight: 0.55 Carats. A beautiful design with an elegant touch.